Take a trip down memory lane with the teddy-themed slot offering 25 pay lines, 95.39% RTP & the chance of winning the 25,000 coin jackpot. Amigo Slots are proud to host Fluffy Favourites Fairground along with hundreds of other slots such as ‘Star Burst’ ‘Fluffy Favourites’ and ‘Bonanza’. Been a while since you went to the fair? 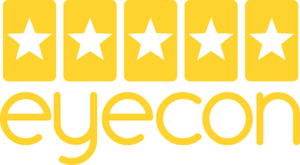 Why not load the reels on Eyecon’s game which exceeded the expectations of even the most devout players of the original game. Eyecon haven’t tried to recreate the magic with Fluffy Favourites Fairground, they’ve reinvented it to allow fans to get a completely new online slot experience. Amigo Slots certainly wouldn’t be the same without the Fluffy Favourites series, which is why we are so proud to present this slot which gives you a great chance to win a life changing amount of cash. The original Fluffy Favourites slot was first released in 2006, and you’d expect after ten years for the fanfare to die down, yet, it would seem that the Fluffy Favourite franchise fanfare will continue thanks to Fluffy Favourites Fairground which has the potential to be remembered in history just as Fluffy Favourites has. Thankfully the adorable characters which appeared on the reels of the original haven’t had too much of a facelift, so fear not, you will still see the same level of charming and cute action with Fluffy Favourites Fairground which was released in December 2017. Yet, it’s high rank of popularity still remains. Visually, there really isn’t much of a change to the online slot, the biggest change will be seen in the bonus round which treats you to a whole new fairground experience. Well, it probably won’t be all that new, you’ve probably played it a fair amount of times as a child (or an adult – there’s no judgement here). You’ll still be able to bet from the smallest stake amount possible on an online slot from £0.01, so if you’re looking to play on a budget but still have the ability to win massive jackpot amounts, there’s no better option. With most online slots the jackpot amount is directly related to how much you have placed down in an individual stake. Eyecon have done things a little differently with Fluffy Favourites Fairground. They made it so the jackpot amount of up to £25,000 is allocated at random. The jackpot can hit your coin balance instantly at every spin of the reels. So, it’s not likely you’ll fire of the light & breezy slot when there’s always the chance to transform your bank account. If you’re completely new to online slots and you are wondering how hard it will be to get to grips with, Fluffy Favourite Fairground is one of the simplest online slots you can play. You’ll get the feel for the reels in no time on the 5 x 3 reel grid. After you’ve chosen how much your stake amount will be and set it, you will then be faced with the option of how many bet lines you would like to play on. With Fluffy Favourites Fairground you will be able to stake a bet on 25 different pay lines. For the best chance of striking winning combinations on the reels, you’ll want to bet across as many as possible as you will be statistically more likely to win this way. The average RTP of the online slot is set to a rather modest rate of 95.39%, even though there are games on Amigo Slots which offer much higher return to player rates, the size of the wins and the prospect of being greeted by the jackpot still make the slot worth playing. The Biggest multiplier in the game is 100x your stake amount, you will be able to win this generous multiplayer through the bonus round which you will be entered into by finding the trigger symbol on the reel. The uniquely charming bonus round to Fluffy Favourites Funfair is hook a duck. Did you know that hook a duck was the most popular fairground game ever? A close follow up is the ball in the bucket game – which was always infinitely harder to win than hook a duck. While in real fairgrounds the games would be rigged, what you see is what you get with Fluffy Favourites Fairground and Eyecon were definitely fair when they created the game. There are no tacky prizes on offer here, you can choose what you want to spend your money on when that sweet jackpot hits your bank account. It isn’t just the theme of the bonus round which has been rehashed, you’ll be able to win completely new and different prizes. Its always refreshing coming across a completely new bonus round, isn’t it? If the excitement of the Big Top Tent bonus isn’t enough, there’s also free spins, and a cheeky gamble feature which you can use to amp up your win amounts. And you’d be able to visit a fairground in a country of your choosing if you won the jackpot! When you load up Fluffy Favourites Funfair you will see that the online slot has had a slight change of location. The reels appear in front of a shot of the big tent which is home to a whole manner of fairground favourites. You may be a little disappointed at how much has actually changed in terms of graphic quality from the original, yet, for anyone who found no issues with the colourfully cartoonish game are sure to appreciate the instant familiar feel of the slots. While many of the more high-octane, heavily animated slots, it can be hard to really slip into the magic of the slot, but with Fluffy Favourite Fairground your eyes won’t tire of the light blue background which the symbols appear in front of. Each and every symbol you will see on the reels is a cute plush character, the kind you would have loved to get your hands on in a claw machine (did anyone even win those things?). You may not be able to walk away with any of the characters you’ll fall in love with, but they’re pretty much worth their weight in gold! If you have played the previous games, you may already be familiar with some of the faces you will see on the reels, however there are some new additions such as the adorable pink dragon which can help you to win a significant matching combination prize. So you know what to look out for, here is what each symbol will win if you match them. Along with these standard symbols you will also see the wild symbol – which in this game is the pink elephant. If you’re lucky enough to find three or more wild symbols anywhere on the reels you will be able to win free spins and a 3x multiplier on your original stake amount which you put down to find the wild. The big top tent appearing on the reels will transport you across to the hook a duck bonus feature. You’ll need to land three or more. We’ll cover the bonus features in more detail below to make sure you know exactly the best way to play the online slot where you can play from as little as 1p and up to 50p. There’s no denying that the maximum betting amount is low, however knowing that you will be able to get the most out of the game by only placing down a minimum bet of 50p is what keeps a lot of reel fans on Amigo Slots spinning! Whereas with some online slot games, the minimum you can play with is 50p, so Eyecon really did have the slot player on a budget in mind for Fluffy Favourites Fairground. You’ll also be given the chance to play in auto spin mode for up to 40 spins if you are looking for an even more relaxed gaming experience. If not, you can be part of the fluffy action with every spin of the reels. Need a little help understanding the bonus features? We’ve got you covered! As we’ve previously mentioned, the pink elephant is the wild on the game which can remove and replace every other symbol on the reels apart from the scatter symbol. Yet, that’s not the only thing that the wild in Fluffy Fairground Favourites can do! The wild symbol will also double what you have won through the winning combination with the wild. One wild will be able to replace other symbols and boost your winnings, but seeing more than one will give you an even bigger reward – the generous free spins round. How many free spins you get with this game will depend on how many wilds are on the reels. Note that that the wilds can appear anywhere on the symbols. If you get welcomed into the big top tent for the main event, you may as well start celebrating from the moment you are zipped away from the reels and presented with the irresistibly cute hook a duck style game. For this to happen, you will need to find 3 or more big top tent symbols during the gameplay. Just like with the original game which you enjoyed at the fair, you’ll get a certain amount of goes to grab your prize. How many picks are given to you will depend on how many tent appeared on the reels before you entered the game. Just like the original game you won’t know which prize the game comes with. But, you will know that there is a 100x multiplier up for grabs! This multiplier will be added to your bet amount when you entered the game. Whether you play online slots for the frequent wins or the big incentives, every slot fan will soon be enamoured by the way Eyecon has constructed the jackpots and how they are triggered. All it takes is a simple hit of the ‘spin’ button and it will immediately light up your coin balance. Remember, how much you are playing with doesn’t impact on your chance to win the jackpot! Plenty of people have already received the jackpot through playing on Amigo Slots. Even if you are relatively new to the online slot world, chances are that you will have already seen Eyecon’s games around. They have created an iconic series of slots with Fluffy Favourites, but that is only a fraction of what the Australian-based company has been getting up to. It’s not just online slots which Eyecon turn their deft hands too, their first game ever released was a videogame named Gore which was an instant hit with gamers. Online slots didn’t happen until later in the digital gaming world, but they had already staked their claim when the world started to see the benefit of playing slot games from the comfort of their own homes. Their first online slot was released in 2003 and still remains popular to this day, just like the original fluffy favourites game which was realised in 2006. Other perpetually popular games by Eyecon include Hold the Safe, Striker Goes Wild, Past the Post and Vlad’s Castle. Shortly after this online slot, Eyecon was acquired by the gaming giant Playtech who did their part in ensuring their games were as accessible to the UK market as possible. Eyecon Founder Scott Murray commented on the acquisition and expressed his assurance that the partnership would lead to an even greater distribution potential. With plenty of new online slots in the pipeline for 2019, including a brand new Fluffy Favourites title, there’s a lot to be excited about when it comes to the future of Eyecon. If you weren’t totally blown away by Fluffy Favourites Fairground, there are plenty of other options brought to you by Eyecon. It’s safe to say they know exactly what to put into an online slot which makes it so exhilarating to play. We’ve covered the other titles in the Fluffy Favourites series to see if you can find more temptation in the offerings of these unique slots! Fluffy Too by Eyecon: Fluffy Too was released slightly later than Fairground – which is instantly obvious due to the higher shine on the graphics. So there’s a much more modern feel to the 5 reel 3 row slot with just the same symbols as you will see in the original game and pretty much what you get with Fluffy Favourites Fairground. Just as Fairground offered you a charming bonus round, Fluffy Too does too, with this one, you won’t get to play hook a duck, but you will be able to take part in the exhilarating coin pusher round. As well as amping up the excitement with the bonus round, Eyecon have also given players the ability to win anywhere up to 400 free spins along with the 100x multiplier. Fluffy Favourites (the original) by Eyecon: How could we possibly leave the original online slot which was the slot that made many people fall in love with slots for the first time. Fluffy Favourites is a classic in all definitions of the word. The slot shot to fame after giving players the chance to play from 1p, and capping the max bet amount at 50p. The low budget game has every chance of changing players into high rollers after they win the jackpot of 5,000 coins, which is significantly less than what you get with Fairground, but there’s plenty of charm to be found in the slot which offers a 95.39% return to player rate. Fluffy Favourites Progressive Jackpot by Eyecon: The title to the online slot pretty much gives the game away, but we’re delighted to introduce you to the most progressive online slot of the Fluffy Favourites series. If you’re not familiar with progressive jackpots, you’re in for an absolute treat. Unlike the other games, there is no fixed jackpot amount, it’s constantly being fed into by players around the world until someone triggers the jackpot and it lands in their coin balance. The gameplay is fairly similar to what you have already seen from the original, so there’s not a great variance between the two games. If you are looking for something totally different to the Fluffy Favourites series, it should come as no surprise that there are literally hundreds of online slots which have been created to be of appeal to slot fans who really do enjoy the cuddlier and cuter side of online slots. We’ve picked out two of the best games from Eyecon’s main competitors in the online slot world. Teddy Pets by Bwin.Party: Bwin.Party may not be all too well known, but their ever-popular online slot Teddy Pets stands as a testament to their talent when it comes to creating a 5 x 3 slot which offers a whopping 40,000 coin jackpot. There’s also the very reasonable RTP of 95.14% and 20 bet lines to play on. Why is Amigo Slots the Best Place to Play Fluffy Favourites Fairground? If you’re looking for an online casino who keeps the perks coming for long after you’ve made your first deposit, look no further. While we’ve made it our business to make signing up with us appealing, we also like to give you plenty of reasons to stay by rewarding your loyalty.